A viscose sponge is extremely suitable for the application and distribution of liquid media. 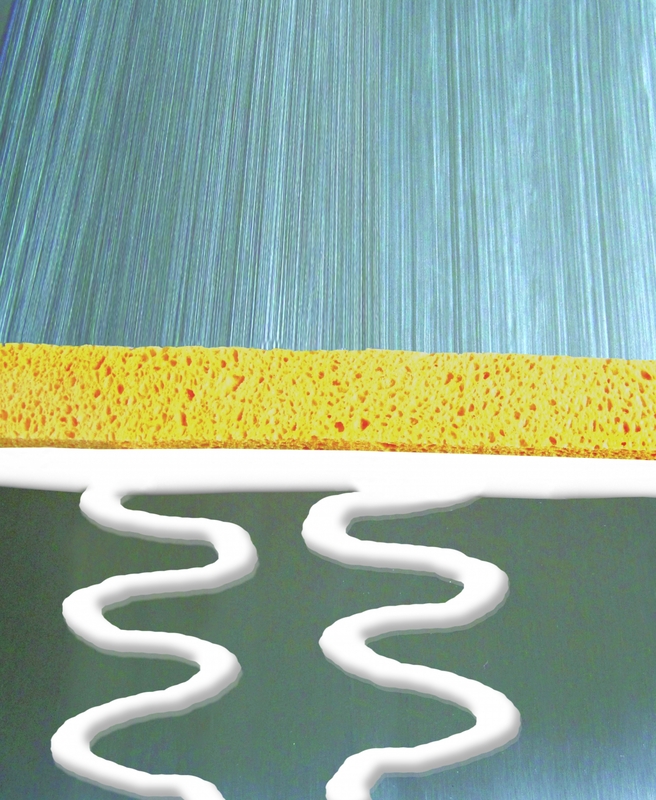 The high chemical and solvent resistance of the material allows chemicals to be used without damaging the sponge material. Our precisely cut or punched viscose sponges enable controlled application of liquid media onto the relevant workpiece. For example, this can take place by running the workpiece over the viscose sponge.